Wakehurst Place Chocolate Birch Tree is named because its shiny brown bark, which resembles plain chocolate in colour. 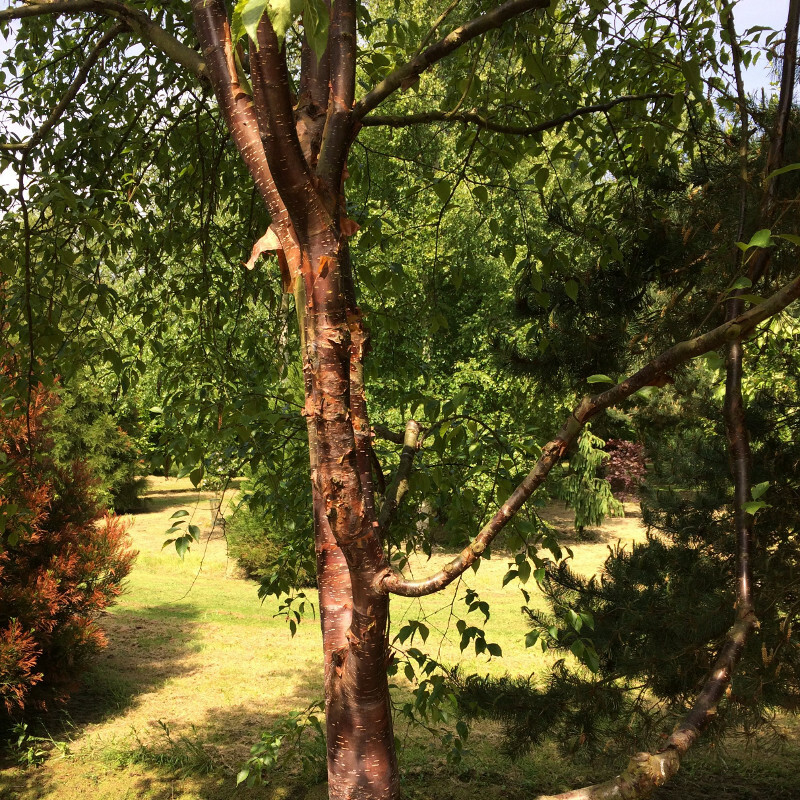 Relatively unknown, this Himalayan Birch tree would add immediate interest in any garden. This is a fast-growing tree and will do well in most soil and shade conditions. This tree is supplied at a height of between 150 and 200cm in a 7- 12L container for year round planting and better results than from either bare-root or root-balled stock. Expect a final height of 20m (66ft 8in).